Do you want to adopt an infant ? If so, then probably the best route of adoption for you is to find a good adoption lawyer who can oversee and guide you through the entire legal process. Find an adoption lawyer who specializes in new born adoption. The attorneys who work in this specific area of law are often caring and extemely experienced in guiding their clients through the twists and turns of the law. The structure of adoption is 'open adoption' unless the Birth parents (mainly the Birth Mother) choses otherwise. Adoption attorneys work closely with the Birth Mother. If the Birth Mother is married, then the Birth Father will also need to consent to the adoption. 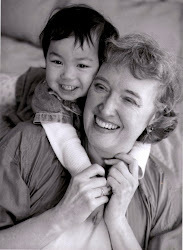 Both of the Birth parents are considered and respected in the "open adoption" process. The attorneys will take care of overseeing the terminating of the Birth parents rights and the certification of the adoption. Birth parents are valued and respected in the adoption process. The Birth Mother and the Adopting parents will often be matched by the attorney. The attorney will facilitate the legal process if a match of Birth and Adopting parents has already been made by an adoption agency. Single Adopting parents are accepted and supported as valid parents to be by adoption attorneys. LBGT adopting parents are supported and accepted by adoption attorneys. The adopting process is short compared to International adoption once the match of Birth and Adoptive parents has been made. The process of adopting to the certification of adoption is less than a year. Often you can take your baby home from the hospital. Adoption attorneys often have a network of experienced adoption professionals (ie. counselors/social workers/post partum doulas/pediatricians) to whom they can refer adopting parents pre and post adoption.